The RunCam Racer has just been released and it looks like it could take the FPV world by storm! RunCam have been in the game as long as most people flying FPV can remember and have an impressive range of cameras. 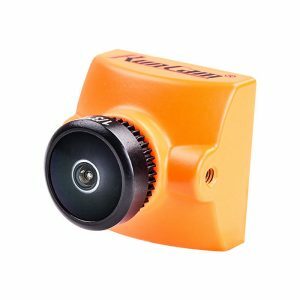 For those rolling your eyes about yet another FPV camera, the Racer looks like it covers all the normal requirements, but also adds a few interesting features which make it incredibly versatile. 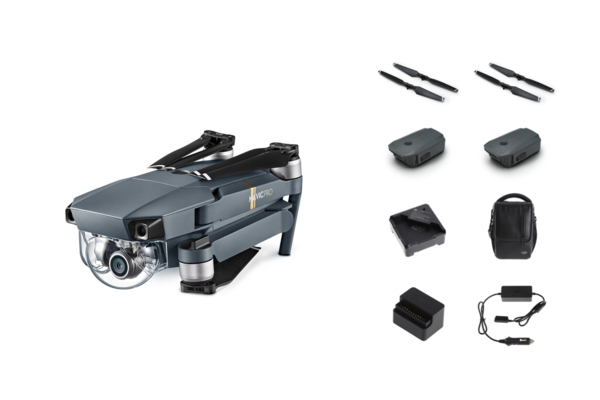 This could be the only FPV camera you need to buy, regardless of what you fly! Read on for my RunCam Racer Review/First Look to see why it’s the right choice for you. You can find the RunCam Racer on Banggood or Amazon. The RunCam Racer release date is 10th August, and as normal pre-orders will ship first, so make sure you grab one here to avoid a long wait. These are expected to fly off the shelves, but hopefully won’t be out of stock for long. If they’re sold out, you can pre-order or click the alert on arrival button so that you don’t miss out. I’ve had a look at the specifications and provided my thoughts below. The Racer is first and foremost aimed at… racers! The camera boasts an impressive 6ms latency and great image sharpness. This is crucial for the fast, close proximity flying experienced during a race, but will also be useful for any freestyle pilots out there who like to dodge trees and fly through tight gaps. It also comes with a 2.1mm lens as standard, providing a nice 150° field of view. The lens is an M8 screw though, so can easily be changed if you prefer something slightly wider or narrower. 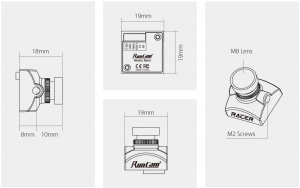 The RunCam Racer has switchable 4:3/16:9 as well as PAL/NTSC. This is interesting as regardless which goggles you use, the Racer is compatible with them! For those who follow FPV camera developments closely, this isn’t the first camera with this feature (RunCam Eagle 2 Pro, RunCam Micro Eagle and the recently released Foxeer Falkor all have it too), but it is good to see this in a racing oriented camera. The Racer utilises a 700TVL Super WDR CMOS sensor, which is natively 4:3 aspect ratio. 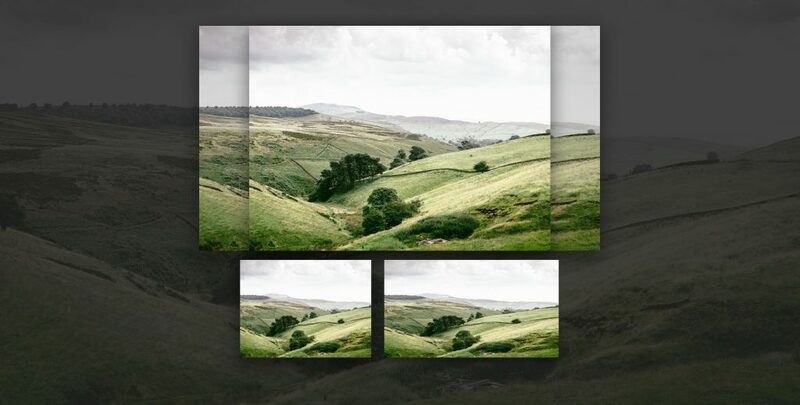 However, the image can be dynamically stretched to 16:9, widening the edges but keeping the centre the same. RunCam mention “dynamic stretching“, so we don’t yet know whether this will impact on that 6ms latency. As cameras have reduced in size, getting a camera to suit your frame and mounting options to keep the camera steady have become numerous. Pick a camera too big and it won’t fit in your micro frame. It’s equally frustrating the opposite way round, if using a micro camera with a standard frame, getting a snug fit (even with a custom 3D printed mount) can be difficult. Now, RunCam have provided an answer! 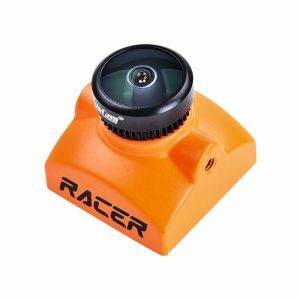 The Racer is itself a micro camera, so is compatible with micro frames, but it also comes with an ABS bracket/adaptor to provide a standard camera size mounting solution. This means that if you currently have a camera installed, the RunCam Racer will fit in thanks to both 19mm and 28mm options. Micro cameras are great for small builds and their light weight, but so far are very flimsy and fragile. 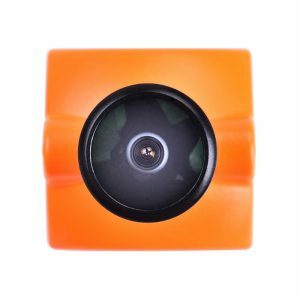 You just have to look at the back of a Runcam Micro Swift 3 to know that a few hard knocks or a bit of moisture are going to kill the camera. The fairly exposed PCB and the way the front camera cover/lens are connected to the PCB just screams fragility. Being a micro camera, it would be reasonable to expect this from the Racer too, but RunCam have done one better. The Racer has a proper case! Being completely surrounded, the delicate electronics are now much safer from bumps and moisture. Additionally, the design of the case puts the mounting holes at what looks like right in the centre of gravity. Now, when you have a big crash/hard impact, the camera is less likely to rotate, making stripping mounting screws unlikely. Added together, these features should mean no more broken micro cameras! 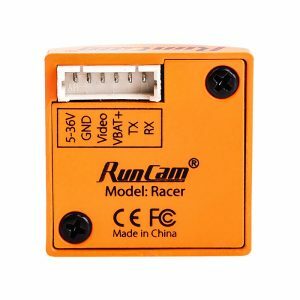 Being a RunCam, the Racer obviously comes with all the standard features we’ve come to expect, such as integral OSD (with voltage, name and timer), 5-36V input voltage range and compatibility with flight controllers via UART for changing the camera settings. It also comes with a mounting bracket, screws and nice silicone wire, for durability. With a full case and added features, some racers will have concerns over the weight, but luckily RunCam have managed to squeeze all of this in at only 5.5g! This is incredible, given that the Micro Swift 3 comes in at 11g with a 2.1mm lens! Lighter than even the Runcam Micro Swift 3, weighing in at only 5.5g. 150° FOV with the included 2.1mm lens, which can be swapped thanks to the M8 screw thread. 700TVL resolution means the image should be clearer on larger screens and goggles with a nice big field of view. 19mm and 28mm mounting options. Solid case, completely enclosing the camera and PCB. Remote camera control, so that you can change settings from your transmitter. There is no integrated microphone, though this will only be a problem for a minority, since lots of VTXs include a microphone and very few people actually use the audio. Is this a deal breaker for you? Let us know in the comments! We would like to see some latency tests to backup RunCam’s claim of 6ms, but in reality most pilots are not going to notice a difference. Your other gear (receiver, DVR, goggles) will all be adding small amounts of latency and are more likely to be the weak link. RunCam Racer – The best camera for FPV racing & freestyle? Right now, we certainly think so. The feature set is incredible and only a year or two ago a less capable camera would have set you back $50 or more. Being compatible with both micro and standard frame sizes, the Racer makes an obvious choice for both new builds and replacements and the price is low enough that you can buy a few and always have a spare. Having a switchable 4:3/16:9 aspect ratio makes it nice to use with any screen/goggle type. 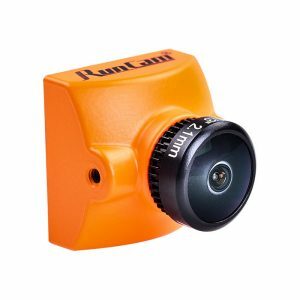 The low latency and light weight are great cherries on the cake, and added to the other features really to make buying the RunCam Racer a no-brainer, grab one today.